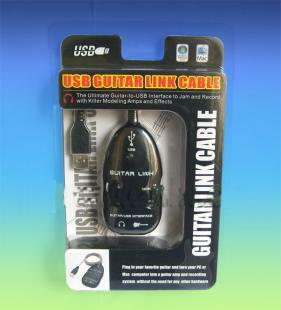 USB Guitar Link Cable is a professional tool that enables you to turn your PC or Mac computer into fantastic working platform on which you can use the classic effects, in the studio as well as on stage. It allows you to record, play along to a playback, or play directly over the modeling amps and effects. 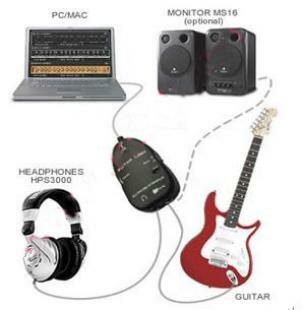 With a NOTEBOOK, Electric Guitar /BASS and USB Guitar Link Cable, it is possible to work indoors or outdoors, be it train or hotel. This easy-to-carry and easy-to use interface will be become the best choice for guitarist, especially for those who are on the go. *Works directly with PC or Mac computer, Ultra-Low latency driver for PC included. 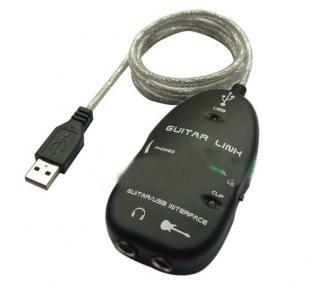 Find, Read Reviews & Buy cheap USB GUITAR LINK CABLE(Electric Guitar/BASS/USB) products at wholesale price from leading chinese supplier, enjoy online USB GUITAR LINK CABLE(Electric Guitar/BASS/USB) for sale and become wholesaler now!